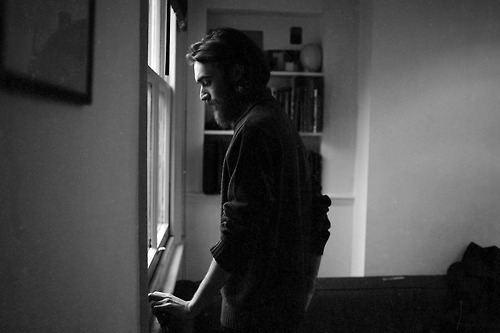 Keaton Henson's stunning second album, "Birthdays", is a follow-up to 2012’s critically acclaimed "Dear...". At just 24 years old, Keaton Henson’s songs, artwork and poetry are known by hundreds of thousands of people around the world. Yet he is a virtual stranger, whose anonymity is no accident. Keaton has never posted on social networks, has not played live until very recently, and barely leaves his hometown or his bedroom. If you wanted him you’d have had to find him as many fans did for instance during "Gloaming" the celebrated exhibition of Keaton’s illustrative work, which saw him play one-on-one for each attendee within a dollhouse. But whilst he may be delicate, this is no wallflower: Keaton’s songs are as brutal as they are beautiful. This is a very strange video but song is ever so beautiful.